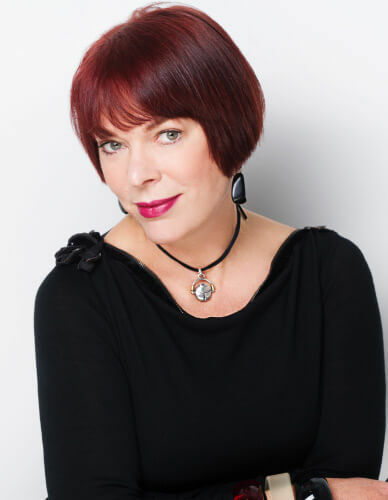 Evelyn Lundström is the founder of First Impressions Institute of Colour and Style (FIICS) and First Impressions Image Consultancy Pty Ltd.
Evelyn launched the First Impressions brand in 1990 when image was an exciting idea rather than the flourishing industry it has become. Since then, she has personally trained and mentored hundreds of consultants to career and business success. In her consulting practice, she has transformed the image, and expanded the prospects, of clients in all stages of life and career. Evelyn is the creator of the Definitive Colour Profiling System, internationally recognised as one of the most accurate and effective assessment methods available. She continues to develop cutting edge programs and tools to give FIICS consultants and students the best resources on the market. As one of the image industry’s most established consultants and entrepreneurs, Evelyn is passionate about sharing her knowledge and insights to contribute to the success of every consultant she trains. Through her business success and contribution to the image industry, Evelyn has achieved the designation of Certified Image Professional (CIP) with the Association of Image Consultants International® (AICI). She has frequently served on the board of the Sydney chapter, including as its President and on the international board as VP, Membership. Evelyn has delivered outstanding results for corporate clients. They include organisations from nearly all areas of private enterprise and government, many of which are household names. Evelyn is frequently interviewed by the media and is a contributing author to two books, Socially Smart and Savvy and Business Millionaire.